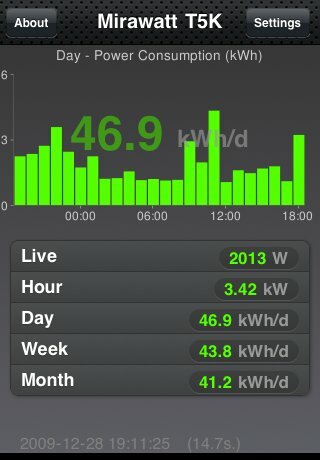 Mirawatt T5K - is an application for viewing power monitoring data collected by the TED-5000 home energy monitor. You need to have the TED-5000 device installed and functioning for this application to be useful. The TED-5000 gateway also needs to be network accessible from your iPhone/iTouch; this typically means using the app inside your home network.